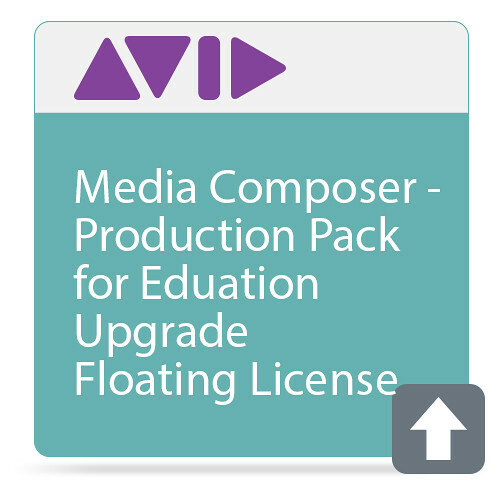 The Media Composer | Production Pack Floating License Renewal from Avid Technologies allows you to renew your floating licenses. This floating license pack lets you deploy Media Composer | Production Pack across 50 seats, using a single system ID. This enables multiple editors to use Media Composer simultaneously on any number of workstations when licenses are available (not actively in use). Once you close your Media Composer application, the license is automatically returned to the pool of available licenses on the licensing server. Although a Windows-based computer is required for the server installation, administrators can activate licenses from either a Windows- or Mac-based client system. To obtain a floating license, simply open Media Composer on your network-connected computer, and the software automatically connects to your licensing server and issues an available license in the background. In addition, similar to a library, floating licenses can be checked-out to individual machines, such as a laptop, when you, an editor, or student needs to work off site or at home. Your administrator simply grants these privileges to the requestor, along with an expiration date. This makes it easy to add freelancers or students on a per-project basis, and have the granted licenses automatically returned at the end of the project.